If you are among those people who need to have a website for their business or organization, the very first thing you need to know is what type of page layout you shall need to your website design. But what is this page layout we are talking in here and how shall it affect the website that you are planning to develop? The page layout of the website is the composite of how shall the website will function and how it will look like. Depending on your need for your website design you can either choose between the fixed, unfixed and responsive page layout. However, it is important to know the difference between these three varieties of web page layout so that you can choose which of it is perfect for your business or organization. The term “fixed” that is being used to describe this type of layout particularly refers to the width and size of the page which will never change even if you will view the website design in mobile or in a desktop browser. Whatever is the size of the page layout, it will be seen just how it is. Have you ever seen how the water or other liquid behaves with relation to its container? Any liquid that will be put in a certain container shall fit in the size of the container and the same with the unfixed page layout, no matter what the browser you will use to check it out, it will take the form of your browser. Now, you will not complain that the website is too small since unfixed page layout behaves like a liquid to its container that is why web designer also called this as liquid page layout. The responsive page layout, however, behaves just like the unfixed or liquid page layout that will fill the browser’s width or size but with some alteration on its pages. The alterations that are being referred here is the behavior of the page when you try to expand or shrink the page to a certain size that it will exponentially hide the other part of the web design or it will expand the size in response to your action. If you are done picking which of the three should you wish for your website then you can proceed on the structure and features that you will put on your webpage. This has something to do with where you shall put your logo, header, homepage and others because in the webpage you always have options. For the features, you might like to have a payment gateway for your website, if it is a shopping site or sales funnel so that you can follow up your viewer so be prepared on how you want your website look, function and behave. Not all of us are experts when it comes to designing a website. 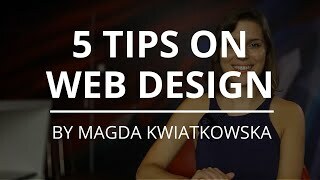 Hence, if you have decided that you’re going to hire a web designer to do the job for you, there are several factors that you need to consider. Here are the following qualities that you should be looking for when it comes to hiring a web designer for your online business. You should ensure the credibility of the web designer that you are planning to hire. His credentials should reflect his professional qualifications. The more credentials he has, the better it would be. And also, a professional web designer will present proofs of his credentials in graphic designing, lay-outing, and internet. Make sure that your web designer has his fair share of experience in the industry of web designing. Narrow down your options to web designers who have been working in the industry for over ten years. While there are many new and talented web designers out there, it’s always good to choose someone who knows everything in web designing like the back of his hand. Ask for references from the web designer. It’s great if you can talk to his past clients. If given a chance, ask about his quality of work and services. Since you will be working with him, you might want to ask about his attitude in work as well. Aside from that, make sure that there are no unresolved complaints with the web designer. Should he refuse to provide any references, it should serve as your warning sign that he cannot be trusted. Thus, you should start looking for someone else. Web designing advances with the evolution of technology. Therefore, you should choose someone who is knowledgeable in the latest technology. Make sure that he knows how to use the latest technology and he’s updated with the most recent trends in web designing as well. In that way, you can rest assured that your website will not remain outdated compared to your opponents. Lastly, make sure that he can offer all the services that you need aside from web designing. For instance, it would be better if your web designer can help you in obtaining the domain name of the website. If he can also offer web content writing, the better it would be. Aside from that, some designers also offer a reply page for those visitors who wanted to leave a comment regarding your business. Some will even volunteer to host your website. Choose a web designer that has a diverse set of skills if you want to make the most out of your money. There you go. Make sure that the aforementioned qualities are present in the potential candidate that you are going to evaluate right now. If he compiled all the requirements that you are looking for in a web designer, then you should think of hiring him to start creating your website. Fortunately, if you don’t feel like hiring a web designer, you can use a web design software in creating your website. However, there is a wide variety of options that you can choose from. How do you determine the program that is most appropriate for your website? Here are the following tips that you should keep in mind. First things first, in choosing the best web design software, you need to make sure that it can provide you with features and functions you can properly utilize. These functions can also give you an idea on what to do with your website. It includes backup systems, spell-check function, templates, and various social media options. Don’t choose a web design software that has the most number of features but a software that can provide you with exactly what you need in creating a site. If you want a high-quality web design program, you should be willing to invest a little money on it. Create a budget for a web design program and stick within your budget range. Avoid free web design software because there are limitations that can hinder your way into creating a professional-looking website. Make sure that you’re going to sort out all possible options before you buy a web design software on the internet. If you are a brisbane branding agency then look for agency licenses to save money rather than buying single licenses. It’s not mandatory to upgrade every month. It can also burn a hole in your pocket if you do it so. Hence, you should consider the updates of the web design program that you’re going to choose. It’s a smart choice if you keep yourself updated because people will easily notice if your website is outdated already. Make sure that the customer support is available 24/7 for update assistance of your site. Not all business owners are experts in handling a website. Hence, a support system should be available at all times. Make sure that the company is legitimate and reliable so that you can easily email or send a message to the customer support team should anything go wrong with your website. Unresponsive websites can lead to sales loss and unimpressed customers. You will lose a lot of chances and opportunities for every minute that your website is inaccessible. Therefore, it is essential that you look through the profile of the company to assure yourself that every time you’re going to need professional help from them, they’re always available to provide assistance and guidance. Keep the tips above in mind when it comes to looking for the best web design software for your business. Although creating a website is not easy, having a professional web design software can make everything easier for you. You can also save a lot of using a web design software instead of hiring a web designer to do the job for you. An innovative design can be a crucial component in the success of digital marketing and web designing. Knowing that website design is important as this attracts the attention of people globally. This is why; a creative design is all you need to ensure that your business website will have many viewers. Keep in mind that all the pages in your website are essential such as your homepage and the blog content. This is the main presentation of your entire business. It composes the backbone of who you are as a business and what are the expectations that your clients can gain as benefits. Also, for visitors to be directed quickly to what they have been searching for is to provide a homepage link to make sure that their needs are met. Just like being introduced to another person and of course, you want to make a positive impression. This gives an idea to visitors whether your products or services are beneficial. Mind you, a good impression is not that easy, and it is always considered as critical, and if a homepage is not made accordingly, this can lead to a loss of business. Fret no more as there are ways for you to enhance, change and even improve your business website. Who doesn’t want to have generating lead and sales right? All you need is an interior website design that will contain these following elements for you to have successful and payable clients. you need a good headline or tagline to attract the attention of visitors and potential customers. Use a striking keyword phrase and don’t forget to mention about your business. these days having a sub-headline is considered important. This explains everything your visitors would like to know such as the products or services that you’re offering. Make sure that it is to the point and concise and keep in mind that a misleading content can lead to any liabilities. it all matters to what kind of offer are you dealing with your website visitors. Ask yourself what makes you unique among other business on the internet? Reasons that you can stand. do not ever think that you’re forcing people but encourage them in a sense that is not disturbing. This will also give them the possibility of clicking that “button” thus guiding your website visitors according to what you are offering. This is one key element that will draw more the attention of your website visitors. It allows your visitors to understand more of the products or services that you’re offering. Consider adding features like video, sliders, ecommerce, blog. nowadays, people learn to read consumer’s review. Make sure to add this section to your web design. This will also help you grow because you can read what the thoughts of your consumers. All of these are created to make opportunities come together, and it makes your website more effective through a good web design. If you are interested in learning how to create web pages and use the basic building blocks of the web, like HTML and CSS, you have come to the right place. This blog is dedicated to web design and development and you are going to learn how to build and design more than beautiful websites. By learning the basic principles of web design like typography, color theory and branding, you will learn how to use the instruments of a web design process. Web design would not be possible without the common code languages, the aforementioned CSS and HTML. All modern websites you see today are built using these code languages. HTML or hypertext markup language is common to every website on the Internet. After you acquire all of these useful skills, the tools of the trade, you can start using them to create websites, a means necessary to make a bridge of communication between any business in the world and the customers. Every business in a world of today is offering the products to the clients and customers over the Internet. The better the websites are, the better the sails will be. Every business out there needs a website in order to offer the products to the clients and customers, interested in buying. Once you gain these necessary skills, you will be able to do amazing things and maybe even start a career with countless companies that need your skill of building and designing websites. Now, there are two main things that you need to learn about web design. The foundation for web design is design discovery and design exploration. Design discovery is how people refer to the first or the early web design phase. This is where you will be trying to gather as much information as you possibly can before you start doing anything. This is very important because you do not want to spend time doing something that is not what your client wanted. After you finish with the requirements, you can start exploring potential concepts of the solutions before you finish. The important thing to know is what makes the crucial part of web development cycle. The stages of web development process are the main skeleton of each website ever built. Before any code writing is even possible, it all comes down to information and requirement gathering, planning to the smallest details, launching, and maintenance. These stages are the main steps or phases of the entire web design development process. Each general website development process is more or less the same. There are around seven main steps that are necessary before any development can take place. Usually, there are five to eight steps but these seven are the most important ones. In order to start coding a website, you will first need to gather all the information necessary from the client. Then, you can start planning what to do, once you know how a website should look like and what it should do. You can start the design process where you will write the website content and assemble it into a whole. The next step would be to start coding. Once you finish the coding, the next step in line is testing the code, to see if it works properly. Sometimes, certain parts of the code can be glitchy and need rewriting. That is why you always test the code before you prepare it for launch. Once you review and launch your new and completely functional website, the last step in line is maintenance. This is nothing more but make sure that what you made functional before, stay that way. Now, besides these seven initial steps of a website development process, there are two more things that need to fall into your consideration. These things are more concerning your client than you honestly but, they are important the same to both of you. Each web design project development requires two things, time and money. The more time it takes to build a website, the more money it will cost. This is why it’s paramount to interpret the requirements thoroughly. Once your website is all ready to go, you need to host it on the internet. There are many website hosting companies to choose from and choosing the right web hosting company can be a tricky one. You first have to decide what type of web hosting you will require for your website, and then choose from certain options such as diskspace, bandwidth, email accounts and type of storage – cloud, or cPanel. Web features are always advancing and web typography advances with it. These web technologies are always changing and evolving, becoming more complex, giving more features and options to the users in order to improve their online experience. The truth is, we can now control all of them much better than in the past. A bad typography can be a big downside to a website that was masterfully built, which would ruin the experience for the users. In order to prevent this from happening, a good typography is a must in web design world. If you want to start building websites and give the Internet users what they truly deserve, you must start with good typography. In order to better understand all this, you need to learn what typography is. Web typography is the visual component of the written word. One text is nothing more than a sequence of words put together. This text can be rendered in different ways digitally, audibly and visually. The things change when the text gets printed, that is where typography gets involved. In order to visually display a certain text, you need the skill of typography. Web typography is how you transfer a certain text on a computer screen. If you are creative enough, you can raise your work to the level of art. It is good to know that typography performs a utilitarian function and its aesthetic component is very important. If you want to become an effective typographer, you will need good skills more than good taste. Many people commonly make a mistake thinking that typography is just another word for a font. Fonts are just a part of typography and it stretches far beyond just fonts. Now, typography does matter because that is what will give you the thing that you need the most, reader attention. You can have the best built website in the world, if a typography is really bad, no one will bother to waste their time and decipher what you wanted to say. Good typography will allow you to better promote what you do.